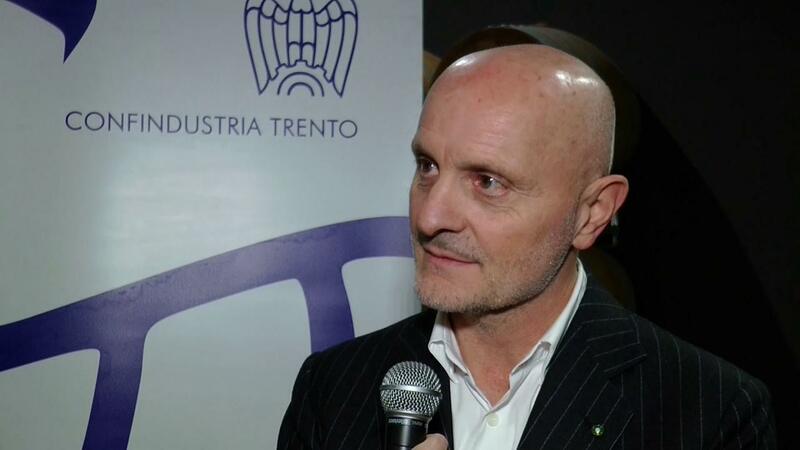 From floors to fashion runways, Aquafil’sChairman & CEO Giulio Bonazzi is improving sustainability by embracing circular economics. In 2011, Aquafil became the first to transform waste into virgin nylon for clothing and carpets, and its ECONYL® yarn has since been used by over 200 brands including Gucci, Stella McCartney, H&M, Adidas, Speedo, Interface and more. As young as seven-years old, I attended dinners organized by my father and mother with customers and suppliers of my family’s nylon business. Understandably, I found it very boring at the time, but I began to “breath” business ever since a young age. After I graduated from the University of Venice with a degree in Business Economics, I began my career in the family business. I was lucky enough to go work for some of Aquafil’s suppliers and customers, which provided me with valuable perspective on their side of the business. 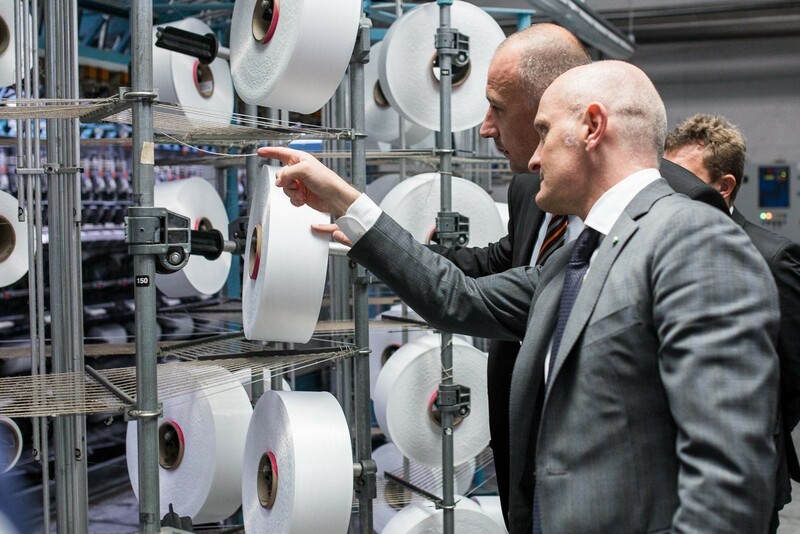 I supported the company’s expansion into Slovenia — a location that has become significant for Aquafil’s most sustainable product and process — the ECONYL® Regeneration System. 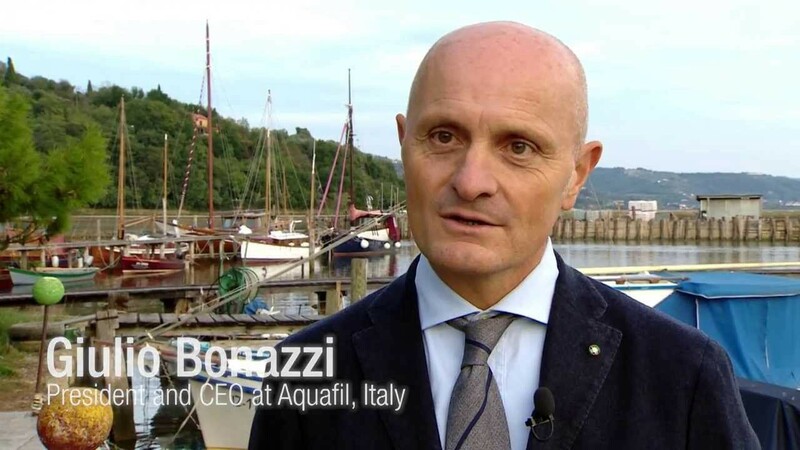 After spending four years in Slovenia with my family, I returned to Italy as Vice Chairman of Aquafil before becoming Chairman of the Group in 2008. Recognizing that business could be a force for good, I began working to make this vision of a more sustainable business model a reality. I grew with Aquafil for many years and was able to gain a lot of experience. Much of the credit is due to my mentors for helping me learn and prepare for the position of CEO. Since a company or person will never achieve perfection, I don’t have a definition of success. When a goal is achieved, it is surely a great feeling. I prefer to challenge myself to always be to looking forward to the future. Years ago, I had a dream about ECONYL®, and how it could revolutionize the textile industry. When I shared it with friends and co-workers, they thought I was crazy and that the idea was impossible. Luckily, they were wrong and I’m very glad I didn’t give up. Nothing is impossible. I have faced many, many failures. I’m thankful for them, though, because they have taught me a lot. About 20 years ago, Idecided to integrate the caprolactam production in the business. Typically, Aquafil purchases caprolactam to produce the yarn. To do this, we bought a couple of companies in Slovacchia that they were producing caprolactam. It ended up being a complete disaster. This failure is very pivotal for us, as it involved a lot of chemistry. This knowledge and experience ultimately led to the realization that the ECONYL plant was feasible and its creation. Aquafil is different because there is no product like ECONYL®. Our technology regenerates waste into something brand new and beautiful. ECONYL® regenerated nylon is the fiber that gives designers and consumers endless sustainable newness. They are able to create and buy new products without ever having to use new resources. For us, waste is not the end but the beginning. We are always working on new projects. A recent brand partnership we’re proud of is being included in the 2018 H&M Conscious Collection. By working with such a large retailer, we’re able to make a bigger positive impact on the environment and afford consumers more options to shop sustainably. We also worked with CFDA this year to provide a red carpet made from ECONYL® for the 2018 CFDA Fashion Awards. Rather than using a carpet for a few hours and then sending it to a landfill, parts of CFDA’s ECONYL® red carpet were either repurposed at the Brooklyn Museum or sent to Aquafil’s recycling plant in Phoenix, to become raw material once again. Every brand and organization that choose to use sustainable materials are making a big impact. Can you tell us about the initiatives that your company is doing to become more sustainable? Can you give an example for each? Aquafil recycles nylon waste into ECONYL® and our recycling plants create a closed loop business. Our products are made with renewable energy. For every 10,000 tons of ECONYL raw materials, we are able to save 70,000 barrels of crude oil and avoid 57,000 tonnes of CO2 eq. emissions. We also work our partners and stakeholders to help improve their impact on the environment and move toward renewable energy. Even our energy from China is renewable. Never wait for things to be resolved or 100 percent ready to launch a project. Every day you will find more problems to correct. If we had waited for ECONYL® to be 100 percent ready before launching, it would never have been announced. My wife, family and mother are big influences in my life. Janine Benyus, a biologist and author of Biomimicry: Innovation Inspired by Nature, taught me a lot as I was dreaming up ECONYL®. Sylvia Earle, a marine biologist and author moved my passion for the ocean far being the appreciation I developed as a diver. With Ray Anderson, Founder of Interface, we discovered that ECONYL® was possible, doable and profitable. It felt a lot like the first day of school, since we were learning so much. I’m also a very lucky CEO, as I work with plenty of intelligent and wonderful people. Together we make a great team and push each other to everyday to be better than the day before. Since ECONYL® doesn’t use new resources, waste is becoming the next generation of materials. And it can be regenerated infinitely, so our possibilities are endless. Someone should have told me I was going to travel so much. I spend more nights flying than I spend on land. I would estimate that more than half of the year is spent traveling. Look at problems as opportunity and that nothing is impossible. ECONYL® is an example of this. Waste was, and still is, a problem, but we’ve been able to harness it for good. To quote John Kennedy “leadership and learning are indispensable to each other”. As a CEO, you’re constantly learning and it’s important to pass that posture to your team. The whole is greater than the sum of its parts. ECONYL® is an example of this, it could not have been achieved by researchers and biologists working separately. It is applicable to any problem you are trying to solve. It’s important to realize that things change quickly. New generations are born with new experiences and skills. Each generation is more capable to take overcome challenges with their knowledge of social media, sustainability or artificial intelligence, for example. Each generation is able to solve problems differently. CEO must engage and use these generations to help progress his or her company. My dream is to improve living standards globally. For example, Net-Worksis an organization rooted in circular economy, as it collects abandoned fishing nets that get recycled through the ECONYL® Regeneration System. Net-Works allows people to improve their living standards by recycling. It also teaches that the place where you live is important for your future and should be treated with care and pride. Native Indians have a great saying that I love. They believed that, “we do not inherit the earth from our ancestors, but we borrow it from our children.” We live in a closed system — one beautiful planet — and we can live better by respecting it.